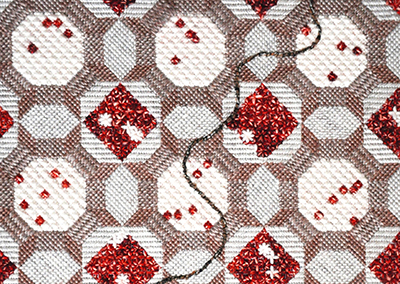 Learn from exhibiting textile artist Linda Taglieri as she leads you through techniques of embroidery. Work on decorative bands for placemats, teatowels, bags, etc. Examples will be on hand for study and inspiration. Some knowledge of sewingor embroidery is required. All materials and morning tea provided.